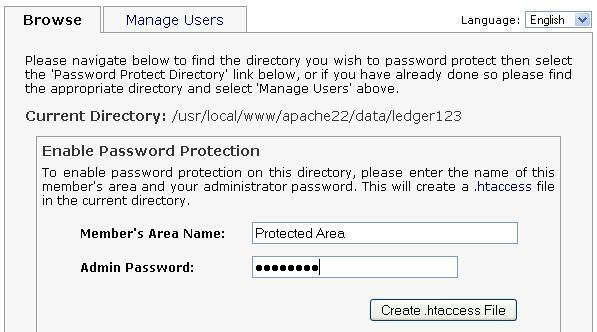 DirectoryPass is a simple Perl script which you can use to add an additional layer of security to your sql-ledger installation using htaccess file. This script helps you enable http authentication for any folder and add/remove users which are stored in htpasswd file. Drop the dirpass.cgi to your sql-ledger folder. On first run, script will ask to setup an admin password for its own security and then let you browse folders and protect folders with users and passwords.